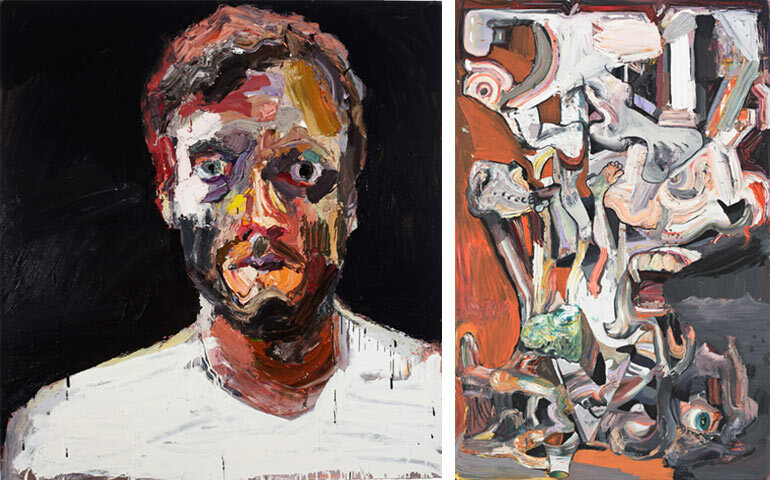 For most of this century Ben Quilty has been delivering urgent visions of our world through vivid, richly worked and often turbulent paintings. This exhibition traces the arc of his work and measures his influences and inspirations – from his early reflections upon the initiation rituals performed by young Australian men through to his experience as an official war artist in Afghanistan; his revisions of the Australian landscape; his campaign to save the lives of Bali Nine pair Andrew Chan and Myuran Sukumaran; his visits to Lebanon, Lesbos and Serbia with author Richard Flanagan, where they met, to borrow Flanagan’s words, ‘the great river of Syrian refugees’; his intimate portraits of himself, his family and his friends; and his recent grotesques made in response to contemporary politics. Curated in close consultation with the artist, Quilty presents a portrait of a socially engaged artist, a critical citizen, who wields paint to draw attention to our responsibility as human beings in an increasingly fraught world. Developed by the Art Gallery of South Australia. National tour presented with support from the Neilson Foundation as Principal Donor and Lipman Karas as National Sponsor. The associated publication will be available from the Gallery Shop and online.